“Life in a refugee camp is living like an animal in a cage,” said Myint Swe on Friday, officially International Refugee Day. An ethnic Karen family stays in a makeshift hut at a camp hidden in the mountains near the Thai-Burmese border. Canada welcomes an additional 1,300 Karen refugees. Myint Swe is among 148,000 ethnic refugees from Burma who live in nine camps along the Thai-Burma border. Most fled to Thailand to escape armed hostilities in their homeland. 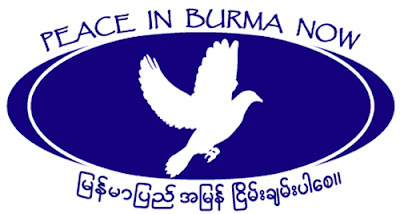 Burmese refugees number more than 700,000, according to a 2006 survey by the US Committee for Refugees. Worldwide there are 35 million refugees. Burmese refugees comprise the largest group in Southeast Asia. About 3,000 Burmese refugees, mostly ethnic Karen, took part in ceremonies at the Mae La camp to mark International Refugee Day. Regardless of the difficulties of refugee life, Myint Swe said he is optimistic that he and his family will be accepted in a resettlement program in Australia, which will lead to a better life. Soe Lwin, another refugee at the Mae La camp, is already scheduled to resettle in Australia. He decided to seek resettlement in a third country because of the poor living conditions and the chance for his children to receive a good education. “My children will be able to study for their future,” he said. According to the US Committee for Refugees and Immigrants (USCRI), nearly 22,000 refugees, mostly ethnic Karen, departed Thailand to resettle in third countries in 2007. The USCRI says refugees’ rights in Thailand should be improved. Dares Chusri, the USCRI country director, said Thailand’s ranking has fallen recently, particularly in terms of refugees’ freedom and living conditions, partly because of the forced deportation of Burmese and Hmong asylum seekers, The Bangkok Post, an English-language newspaper, reported on Friday. The UN High Commissioner for Refugees has said improvements should be made to allow refugees to develop self-reliance, access to labor markets and opportunities for higher education, all of which are now severely limited. Due to such restrictions, many refugees in Thai camps seek resettlement in third countries, according to refugees. Canada announced on Thursday that it would accept 1,300 Karen refugees from Thailand. More than 2,600 Karen have already resettled in Canada since a new resettlement program began in 2006. “Canada continues to welcome Karen refugees who have been living under some of the world’s most difficult conditions for many years,” said Diane Finley, the minister of citizenship and immigration. Tin Maung Htoo, a Burmese refugee in Canada who serves as the executive director of the Canadian Friends of Burma, said life in refugee camps offer few opportunities for self-improvement, especially for those who grow up in refugee camps. “This resettlement is of course a golden opportunity for the younger generation to grow up in a land of opportunity,” he said. The flow of Burmese refugees to Thailand continues due to the ongoing military offensives against Karen villagers by the Burmese army. Many Karen villagers become internally displaced persons and go into hiding in fear of Burma’s army. An estimated 1 million displaced persons live in primitive conditions o¬n the Burmese side of the border, according to the Thailand Burma Border Consortium. Burmese military operations are being conducted by troops in Karen State, according to the Committee for Internally Displaced Karen People (CIDKP). May Poe, a CIDKP relief worker who recently returned from Papun District in Karen State, said troops are now operating offensives in Papun District and more than 3,604 villagers are in hiding in the jungle. More than 2,000 houses were burned by the Burmese troops, said May Poe.